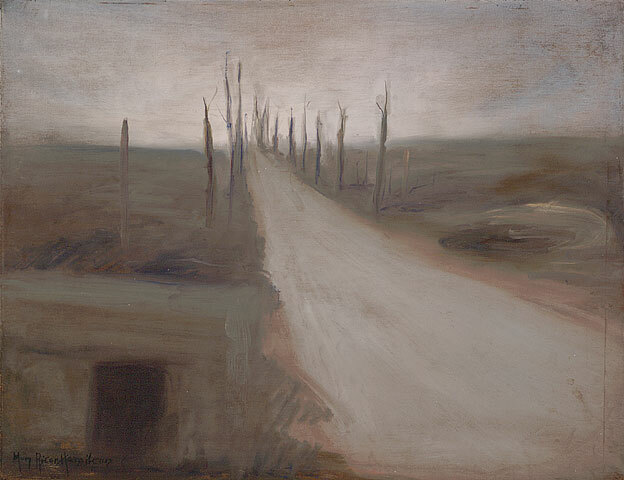 It has been 90 years since Mary Riter Hamilton donated 180 of her oil paintings and dozens of her chalk, pastel and pencil drawings depicting the devastation in Europe after the First World War to the Public Archives of Canada (now Library and Archives Canada). These works by Riter Hamilton are not light-hearted. The subject matter deals almost exclusively with the destruction of war. They depict muddy trenches and blighted landscapes, graves and cemeteries, churches and towns ripped apart from shelling. Mary Riter Hamilton was born in 1873 in Teeswater, Ontario and grew up in Clearwater, Manitoba where her family moved to farm. She married Charles W. Hamilton at the age of 18 and by the age of 23 was widowed. It was soon before the death of her husband that Mary began attending art classes in Toronto. Recognizing her talent, most of her European-trained teachers urged her to further her studies in Paris. Mary studied first in Germany then moved to Paris where she lived and studied for the next eight years. Mary returned to Manitoba for a year in 1906 then again for eight years in 1911. During these years, Mary’s work was exhibited in galleries in Montreal, Ottawa, Toronto, Winnipeg and Calgary. Always wanting to return to Europe, it was in 1919 while Mary was living and working on Canada’s west coast, that she was offered a commission by the Amputation Club of British Columbia to provide art work for The Gold Stripe, a veteran’s magazine. 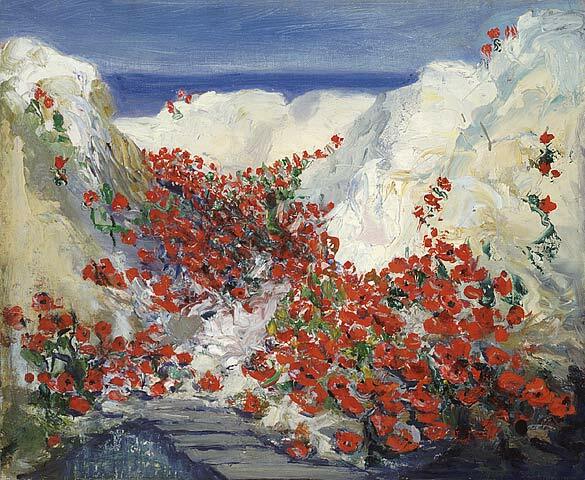 Mary left immediately, “ … to paint the scenes where so many of our gallant Canadians have fought and died.” For three years, Riter Hamilton worked tirelessly in post-war France and Belgium, painting battlefields including Vimy Ridge and the Somme, Ypres and Passchendaele. Conditions were harsh. She lived in make-shift shelters while enduring foul weather and meagre rations. She returned to Canada physically and emotionally spent. Refusing to sell her paintings, Riter Hamilton donated her work to the Public Archives of Canada. She died, poor and visually impaired, in 1954. As the centenary of the First World War approaches, these works take on a renewed poignancy. 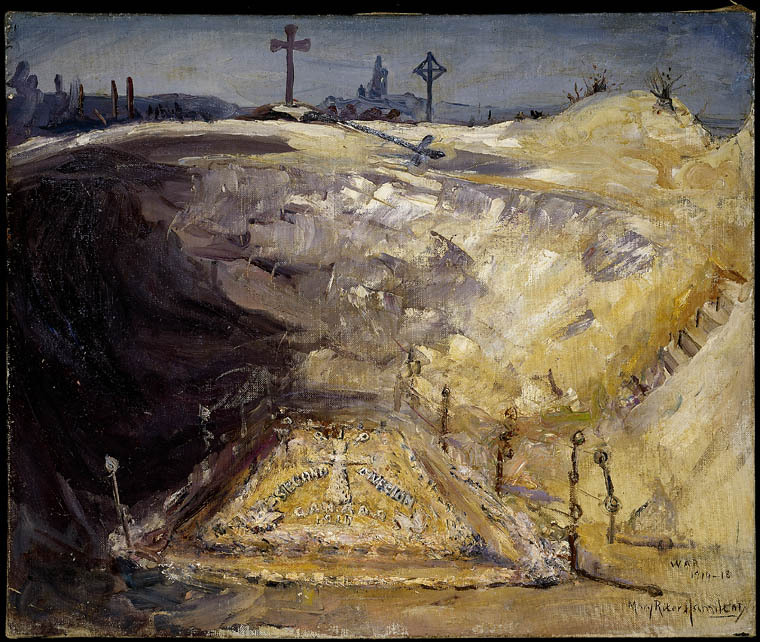 Mary Riter Hamilton was never an official ‘war artist’ yet through her courage and talent and indomitable dedication, the sombre beauty and mournful tone of her collection serve as an enduring account of the ravages of war. This entry was posted in Art, Military Heritage and tagged Art, artist, First World War, Flickr, Mary Riter Hamilton, Military, paintings by Library and Archives Canada Blog. Bookmark the permalink. She was an original. In that era, women were not likely to travel to WWI battlefields and document the aftermath of hell. Riter Hamilton was a pioneer. Awesome pictures! Love them all!